Share this product and receive a $2.60 sharing discount. 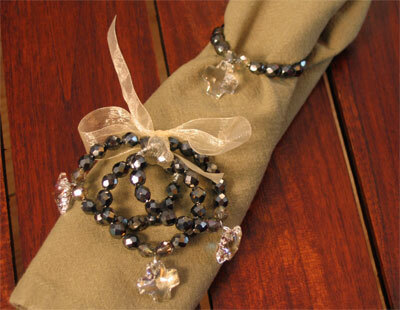 Each delicate napkin ring has been skillfully made by hand using crystal, Venetian glass, and vintage beads. This particular ring has been adorned with a lovely effervescent crystal cross. These are sure to make any place setting exquisite. 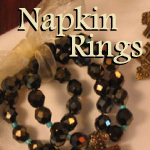 Exclusive to ChristianGiftsPlace.com. Set of four.